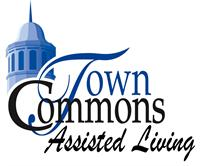 Town Commons Assisted Living offers continuous 24-hour care and support to the seniors of Howell and the surrounding communities thru permanent residency, short-term respite care, day care program and specialized memory loss care for those with Alzheimers or related dementias. Office Staff Our caring resident assistants are fully staffed 24 hours a day with a 1 to 5 or 1 to 10 caregiver to resident ratio. Services Permanent residency with one bedroom, studio or semi private apartments. I couldn't believe how fantastic their physical therapy program. It was by far one of the best I've ever seen. I couldn't believe how great their office looked. It was very obvious that they took pride in the office's appearance. It was one of the best looking offices I've ever seen. They've never been late to any of my appointments. I've even showed up early sometimes and they've always been ready and prepared.